This post has been sponsored by Moose Tracks. All content and opinions are entirely my own. Nothing says summertime like a bowl or cone filled with rich, creamy, sweet ice cream. My kids and I are already getting ready for summer with Moose Tracks Ice Cream! It’s officially spring, and while some days are still pretty chilly, the temperature has jumped up into the 70’s quite a few times in recent weeks. 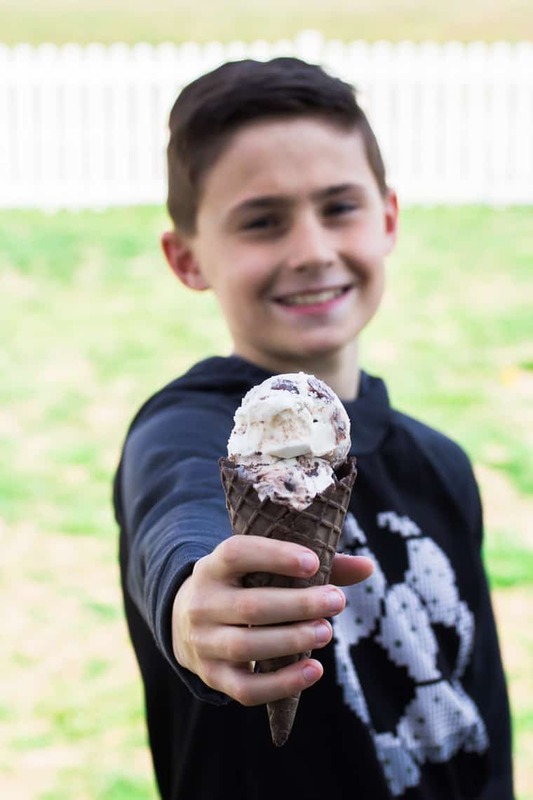 With this little taste of the warmer days to come, my ice cream-loving family is getting ready for summer with our favorite Moose Tracks Ice Cream! 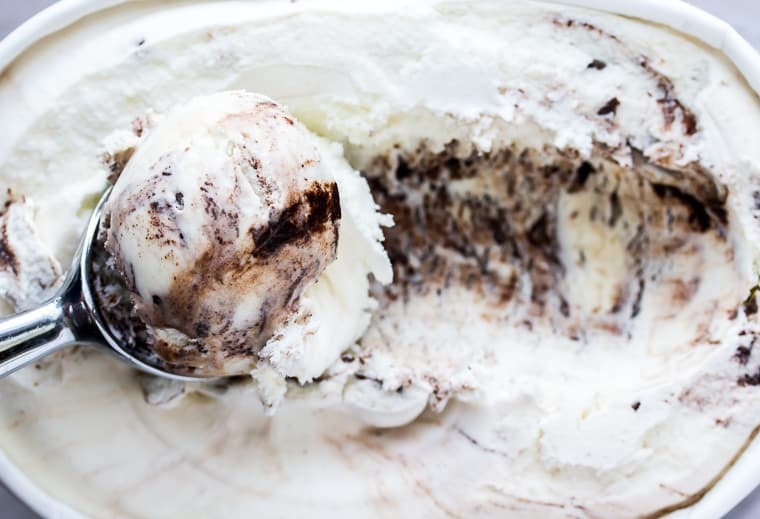 Moose Tracks Ice Cream started out as one flavor, now known as Original Moose Tracks. 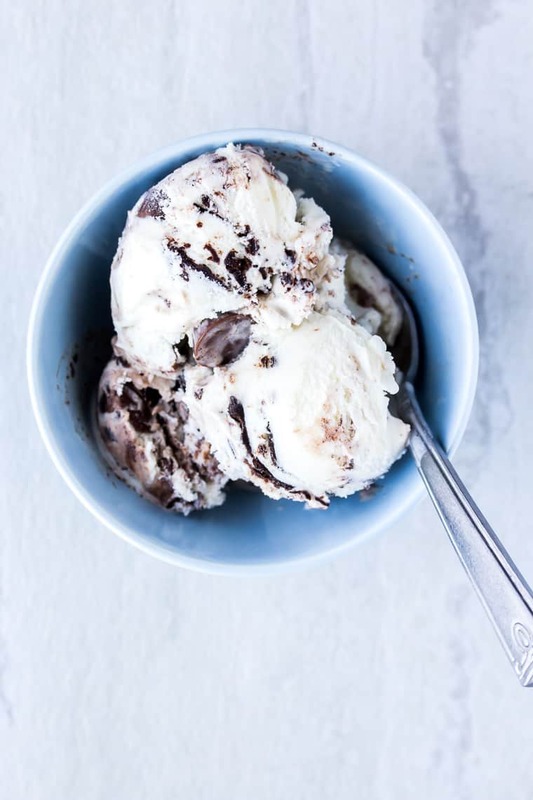 This variety is a vanilla ice cream loaded with Famous Moose Tracks Fudge and peanut butter cups. Anytime you add extra chocolate and candy to ice cream, I’m 100% sure to love it – and the same goes for my boys too! But, Moose Tracks didn’t stop at just one flavor. Their fans loved the original so much, they wanted more! Now, you can find Moose Tracks in over 20 different flavors – all of which still contain the Famous Moose Tracks Fudge. Whether you prefer your ice cream in a bowl, a cone, or straight out of the container (no judgement here! ), you are sure to find a Moose Tracks variety you will love all summer long! 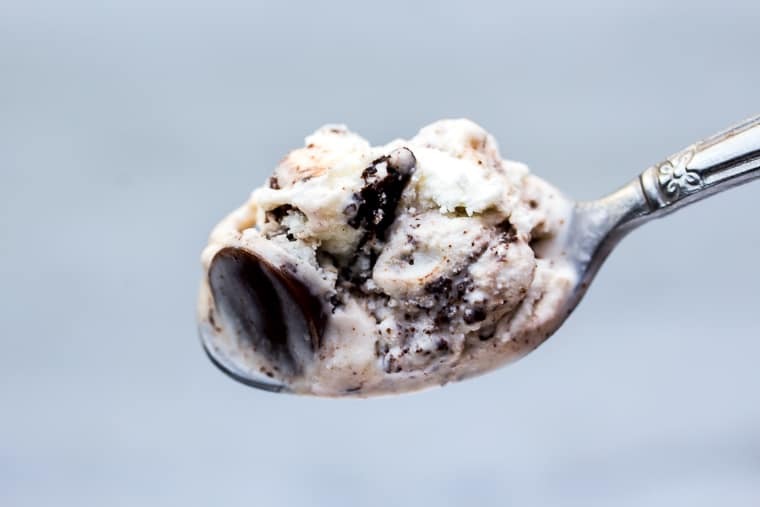 Moose Tracks Ice Cream is available throughout the U.S. To find a store near you that carries your favorite variety of Moose Tracks, be sure to check out the store locator on the Moose Tracks website. You can also follow along with Moose Tracks on Instagram! Moose Tracks is offering my readers a chance to win some free swag including a Yeti Tumblr, t-shirt and more! Must be a U.S. residents and 18+. Winner will be chosen at random on 4/29/19 and contacted through email. Good luck!